Photo courtesy of Tona Sushi. Food is people glue. Bringing friends and family together to live in the moment over a meal, lunch or dinner is Ogden Restaurant Week, held April 6–15. Visit Ogden and 24 independent, locally owned restaurants come together to showcase the “it” happening of the week: food! Historic 25th Street has something for everyone. The eclectic scene hints to an up-and-coming foodie town, joining the likes of Asheville, Austin, Boulder and Portland. Ogden Restaurant Week invites all walks of life, and rightfully so, as this small Northern Utah town is making waves nationally for small-business and real estate opportunities. This celebration of all things culinary is the perfect opportunity to sample Ogden’s best restaurants or try something new at your go-to eatery. Exploring new possibilities on old traditions and satisfying cravings to get out and about, Ogden’s chefs are prepared to serve up specials that highlight their unique eating establishments. Participating restaurants will offer prix fixe menus of $10 two-course lunches and $17 three-course dinners. 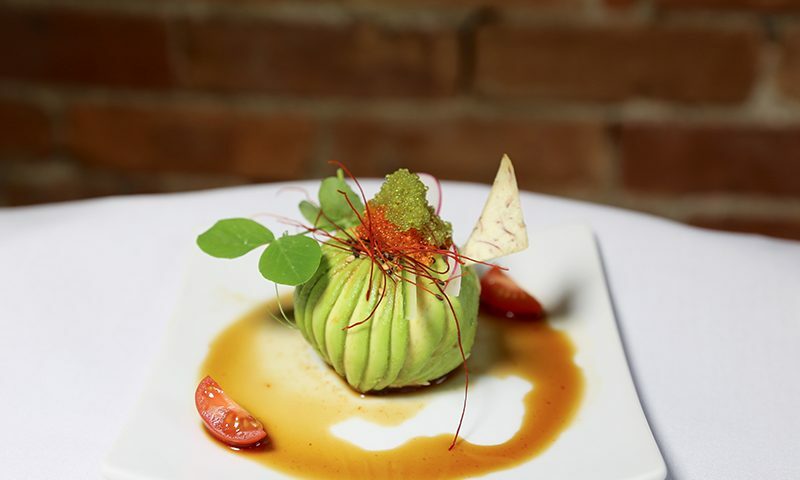 Whatever you fancy, Ogden Restaurant Week has it for you. I had the pleasure of taste testing three of Ogden’s restaurants to bring you a preview of what your tastebuds have to look forward to! 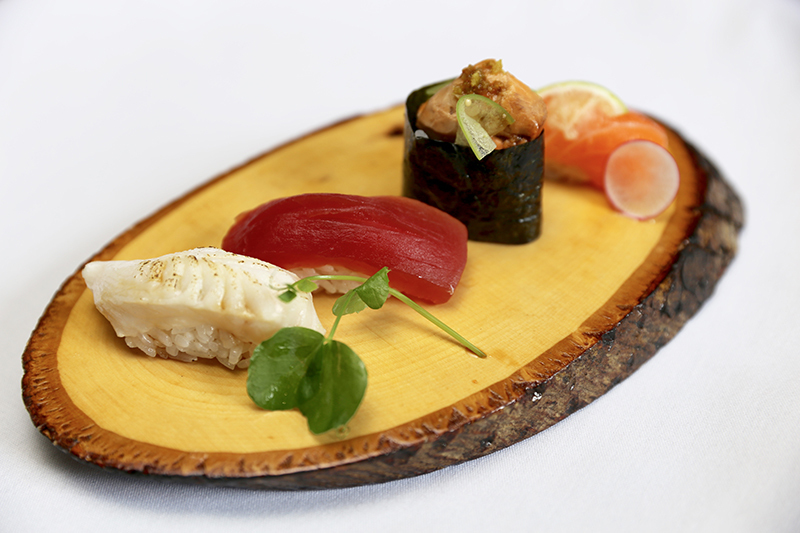 Dinner: Mon–Thur: 5–9:30 p.m., Fri–Sat: 5–10 p.m.
Nigiri platter. 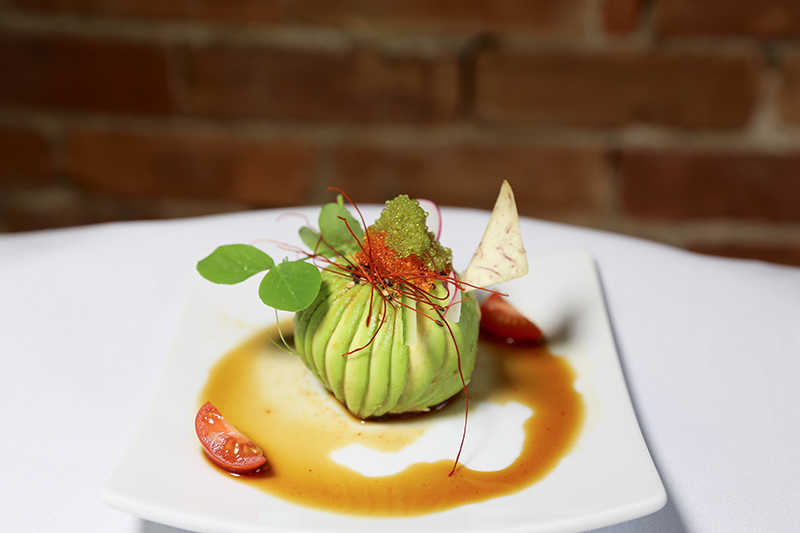 Photo courtesy of Tona Sushi. Sun–Thur: 11 a.m.–10 p.m., Fri–Sat: 11 a.m.–2 a.m.
Pizza tacos? The team that had an idea to create great-tasting pizza, source locally and make everything they can from scratch has something special to dish up for Ogden Restaurant Week. Their determination to include everyone will have us all begging for more cauliflower hot wings and salads! The two-for-$10 special they will showcase during Restaurant Week is A) vegan-friendly, B) homemade-battered and C) delish! In addition, their pizza salads, a beautiful blend of salad and pizza-crust slices dusted with olive oil and a little garlic, hit the spot. Eat with a fork or use the slice to wrap your salad and enjoy as a taco. 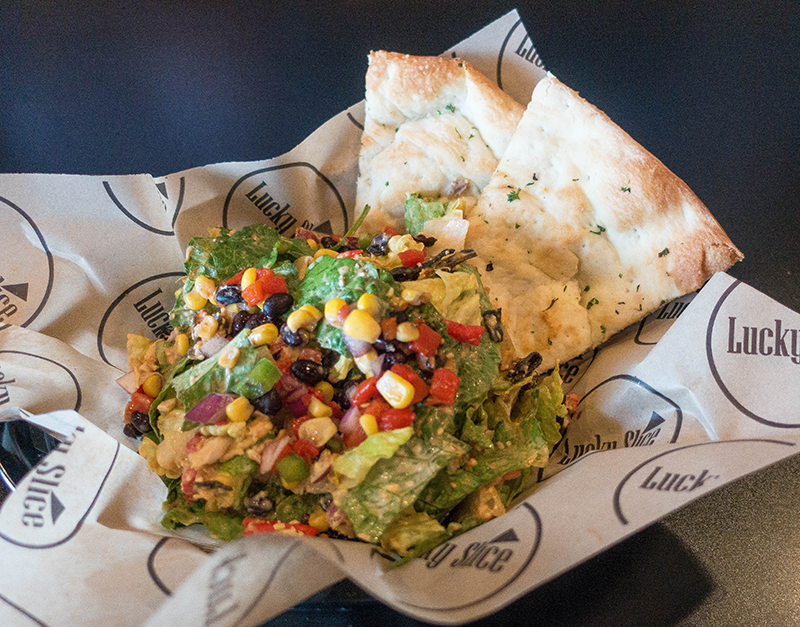 If it’s salad that you’re craving, Lucky Slice is testing this idea for one week in April (salads are also 2 for $10). And if it is one of their famous slices you are craving, well, those will always be on the menu. (Side note: Lucky Slice is planning to open a Logan location in late spring 2017). Steak and potatoes. 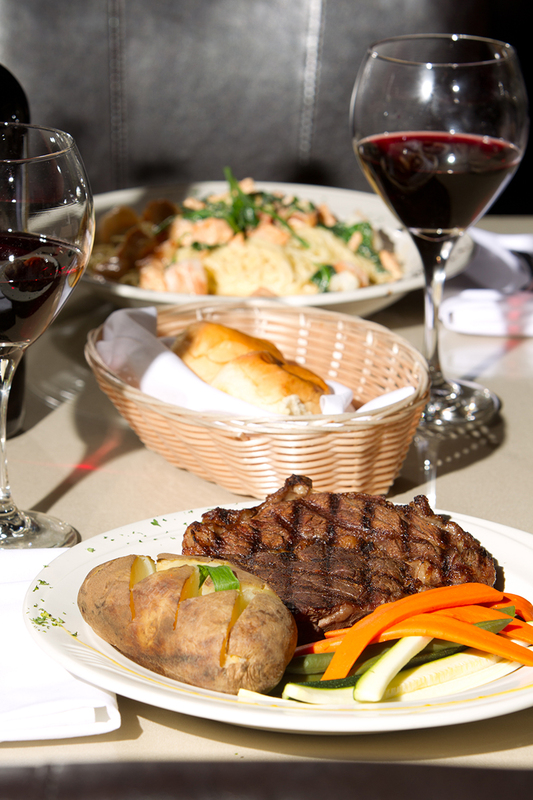 Photo courtesy of Restaurant 1107. If it’s ambience you are seeking, this is the place. Offering one of the best views of Ogden, 1107 is perched on the 11th floor of the famous Ben Lomond Hotel. Brick walls and low lighting are the perfect complement to a sunset view here. Open Monday through Saturday for dinner, 1107 has created a unique setting for dinner parties or romantic dining for two. This is the go-to for enjoying a bottle of wine and their most-ordered dishes: pistachio-crusted halibut and the steak. Restaurant 1107 will be serving a three-course dinner for $17, most likely a choice of salad/soup, a selection from three of their main dishes and a dessert. 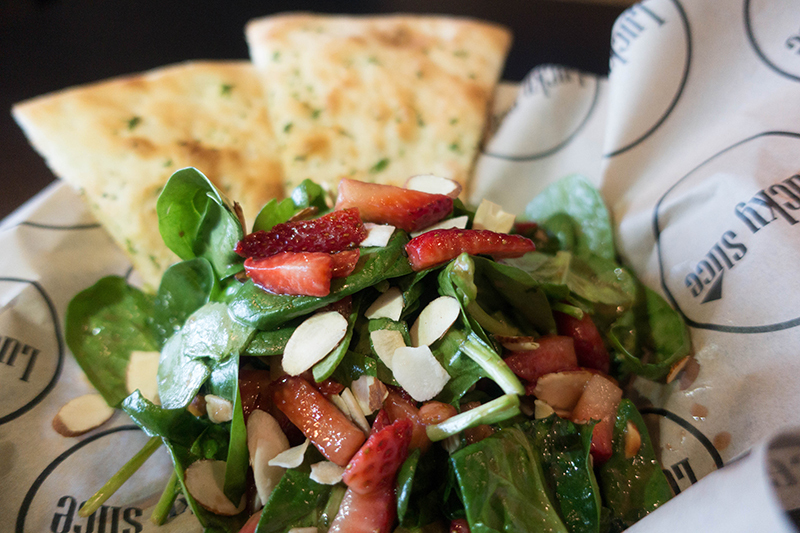 I recommend the beautiful salad-dressing blend created by the chef. 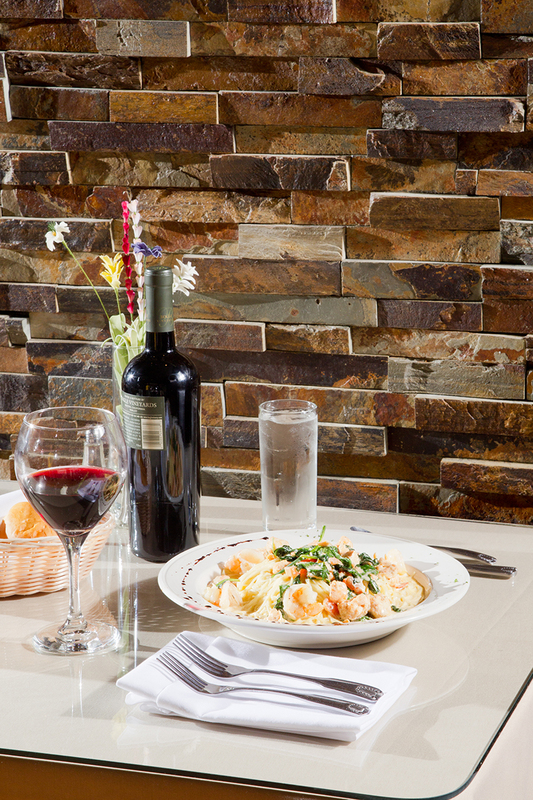 If you’re seeking romance, try Restaurant 1107. And if you plan to travel, consider spending a night in the hotel.